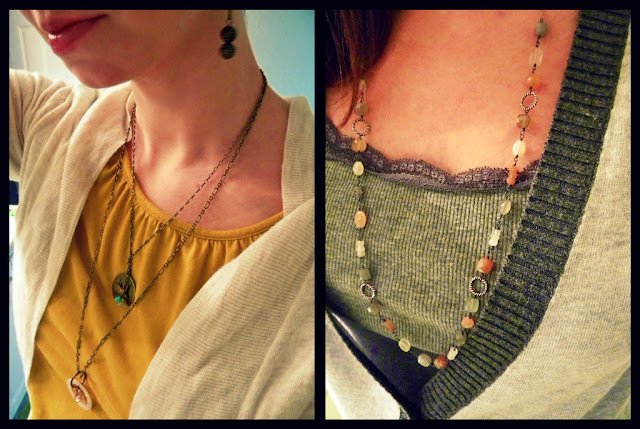 Linking up with Lindsey at the Pleated Poppy for another week of What I Wore! 1. Out to lunch with Mom, shopping with Chris, buying a new car outfit. 2. new moonstone and oxidized sterling silver necklace that will be in my shop pronto (ok. hopefully this weekend) In love. That's all I have to say about that. Visiting from WIWW. Great outfits! I like your shoes! Like that green and white striped top too! You make lovely jewelry! So glad you did close up's! Great outfits! Cardigans are so nice! Love all your outfits! The cardi's look so cozy. 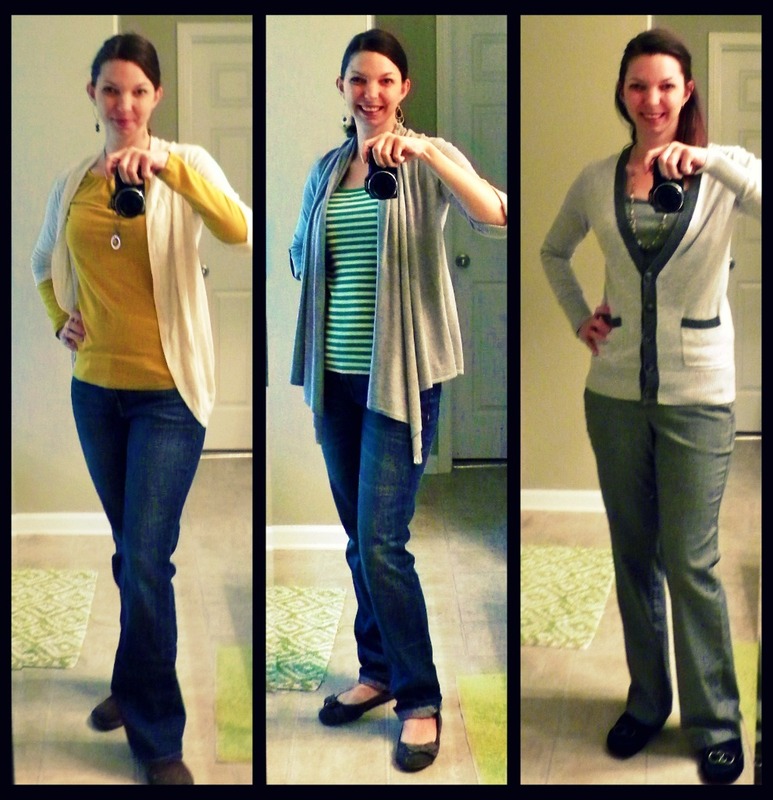 Love the open cardigan in the middle picture. Thanks for remembering the jewelry close-ups! I always forget that part. Love all of your outfits and accessories!